BPSC Notifications 2018 which is released Bihar Public Service Commission at bpsc.bih.nic.in website for the aspirants now check from here. We are come up with Daily BPSC Notifications 2018. 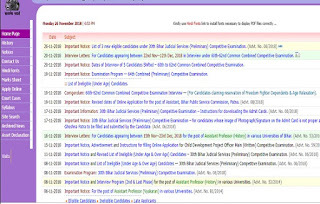 Candidates check out from here the details Bihar PSC and BSSC and Other Bihar Jobs info. 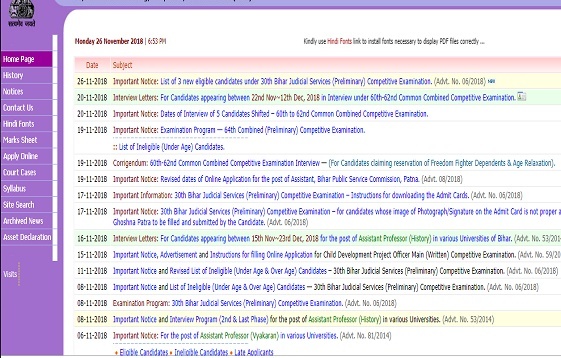 Every day Bihar Public Service Commission released the BPSC Notifications for Recruitment, Examinations schedules, Admit Cards & Syllabus pdf and other notifications related to BPSC expanded here continuously. Dates of Interview of 2 Candidates Shifted – 60th to 62nd Common Combined Competitive Examination. Invitation of Objections to answers of 64th Combined (Preliminary) Competitive Examination held on 16th December, 2018.